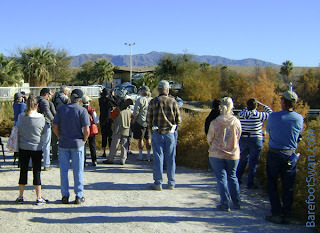 This past weekend we attended the First Annual Salton Sea Pelican Days birding festival. 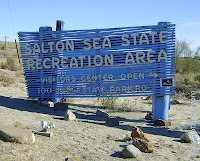 The event was held at the Salton Sea State Recreation Area, just off Highway 111 on the east side of the sea. The Sea and Desert Interpretive Association is the sponsor. Lots of activities were planned for all ages including guided bird walks, a kids chalk art contest, Junior Rangers program, a kayak bird tour, lectures, and an evening campfire program. There were also field trips to the Coachella Valley Wild Bird Center in Indio, Salt Creek and the Alamo River, and a tour of the Salton Sea History Museum. Attendees had a choice of camping on site or just coming out for the day. We spent most of the day birding, and there was plenty to see. Snowy Egret and Great Egret can look similar at a quick glance. 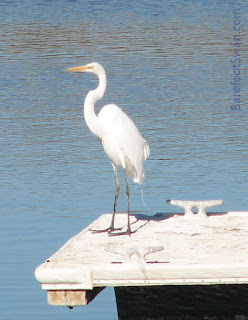 Snowy is smaller, about 2 feet tall, and has a slim black bill and yellow feet. 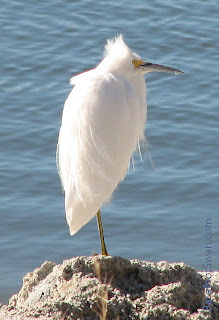 A good way to remember is to picture the SNOWY Egret is wearing yellow SNOW-shoes. (Thank you, Bob!) 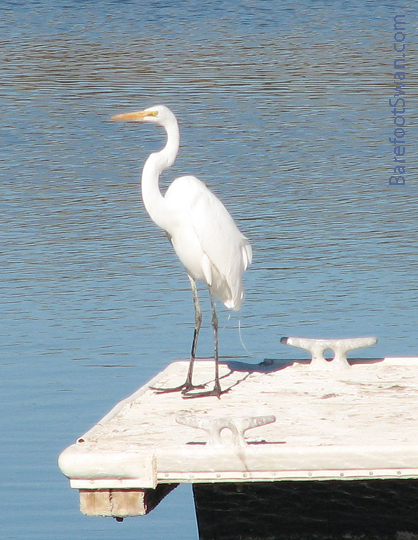 Great Egret is just over 3 feet tall, and has a yellow bill and black legs. 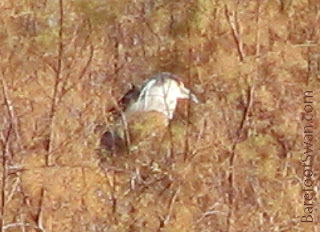 Black-crowned Night-Herons are pretty common, but not always seen. They feed mainly at night and like to roost in trees. Adults have a dark head and back, and long white neck plumes that you can just see in the photo. Up close you can see they have red eyes. 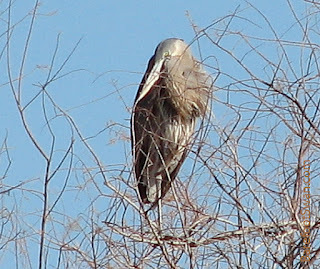 This Great Blue Heron was roosting with its head and long neck tucked in against its body. Great Blues are BIG - nearly 4 feet tall, with a 6 foot wingspan! It's amazing that they can keep those long legs and toes from getting tangled up in the skinny branches. 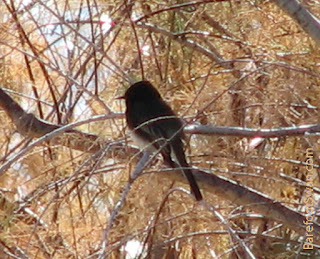 Black Phoebes have sleek black plumage on the head, back, tail and chest, and a white belly. They look like they are dressed to go to a formal event. They are flycatchers, and often hunt their insect prey from a favorite perch. 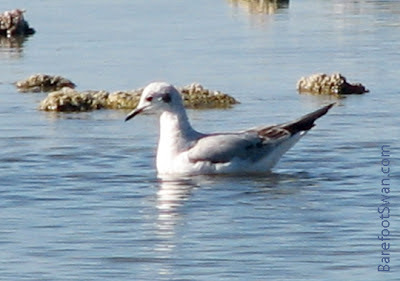 At less than 14" long, Bonaparte's Gulls are noticeably smaller than the other common gulls. 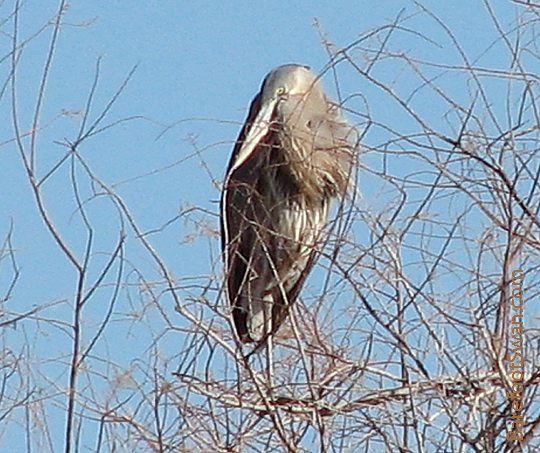 They are a winter visitor to our area. During summer the breeding adult birds will have a black hood, instead of the winter "ear spot". 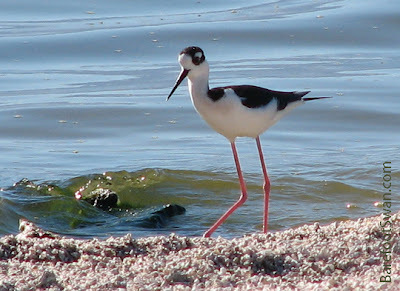 Black-necked Stilts definitely have an appropriate name. They are about 14" high, and most of that is their spindly, bright pink legs. Males have glossy black markings, while the females and juveniles are browner. The "sand" in front of this Stilt is actually made up of tiny barnacle shells. The barnacles likely arrived in the 1940's, via military sea planes and Navy vessels that were brought to the Naval Test Base at the southwest corner of the Salton Sea. 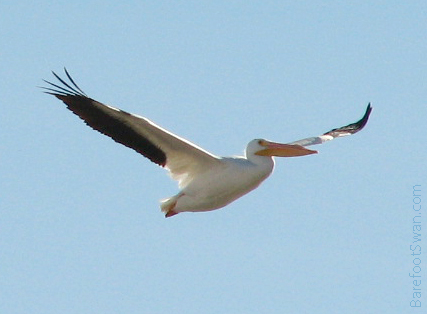 Pelicans are fish eaters, using their large bills and throat pouches to scoop fish from the water as they swim. They do not dive after fish from the air, like Brown Pelicans. 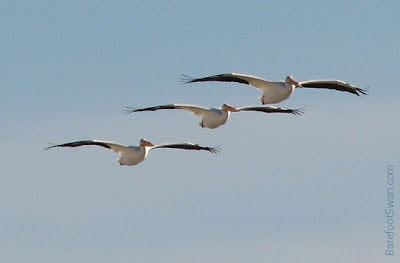 With a length of over 5 feet and a 9 foot wingspan, the American White Pelican is the second largest bird in North America - second in size only to the California Condor. 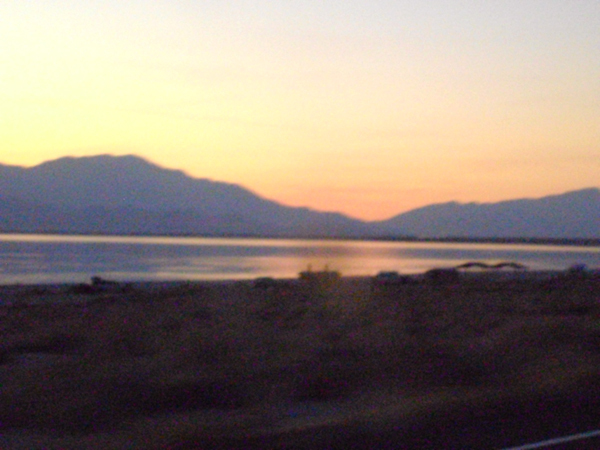 After spending most of the day at the Salton Sea, we watched a colorful sunset over the water as we drove back home. Winter here in our part of the Southern California desert is relatively mild compared to other parts of the country. In December and January our normal high is around 70 degrees, with overnight lows in the low- to mid-40's. Occasionally the temperatures head south, like the weather we're having now, with highs in the 50's and lows touching the freezing mark. Birds that winter here are pretty fortunate. Natural food sources are available, and they don't have to forage in snow or brave blizzard conditions for a meal. We still like to provide healthy treats to supplement their diet. 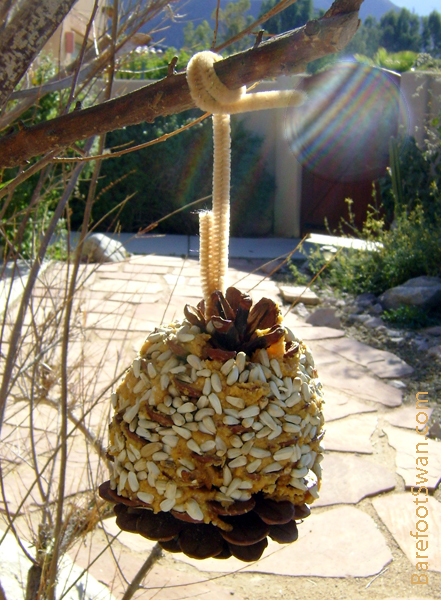 In addition to the seed feeders, suet feeders, fruit and jelly we put out, I decided to make some ever-popular Pine Cone Bird Feeders. There is no lack of instructions on the internet for making these feeders. 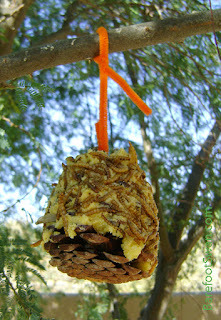 Most simply say (1) find a pine cone (2) spread peanut butter on the pine cone, (3) roll in bird seed, (4) tie a ribbon on for hanging, (5) you're good to go. But I wanted to try something that would be more appropriate for our desert climate, and would be less prone to melting when the weather returns to normal. 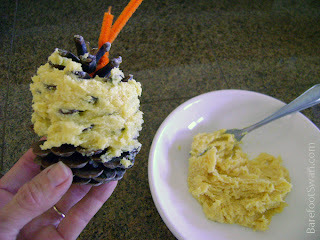 I found a slightly different recipe online, which combines equal parts vegetable shortening** (or alternative - see below) and oatmeal/cornmeal to make a stiffer mix for filling the pine cones. I made a few changes to the instructions, and made 2 batches: one based on peanut butter and the other based on lard. I gathered these pine cones during a day trip last summer in the local mountains. They are small - about 4" high. Make sure you select "open" pine cones, so there is plenty of room to slather on the filling. 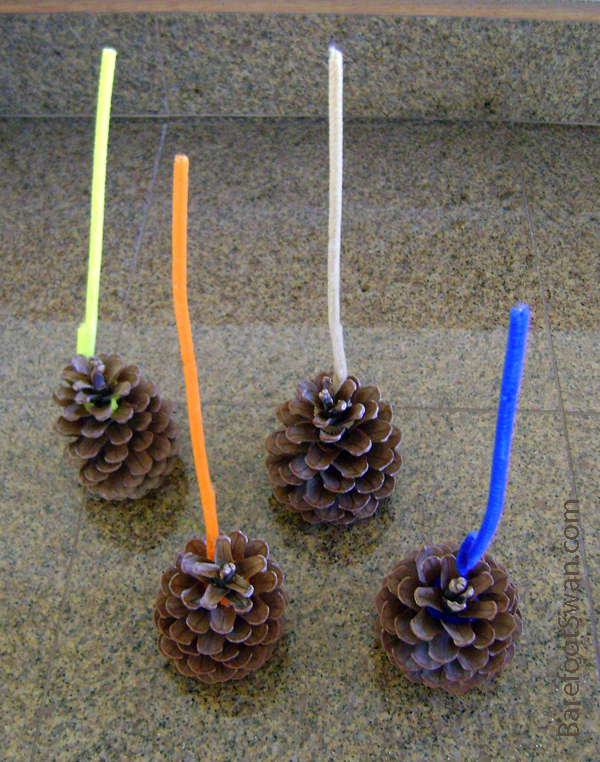 Craft store pine cones are NOT recommended because they may have artificial coloring, scents or chemicals. Most instructions say to tie a ribbon or string on the top of the pine cone for hanging. 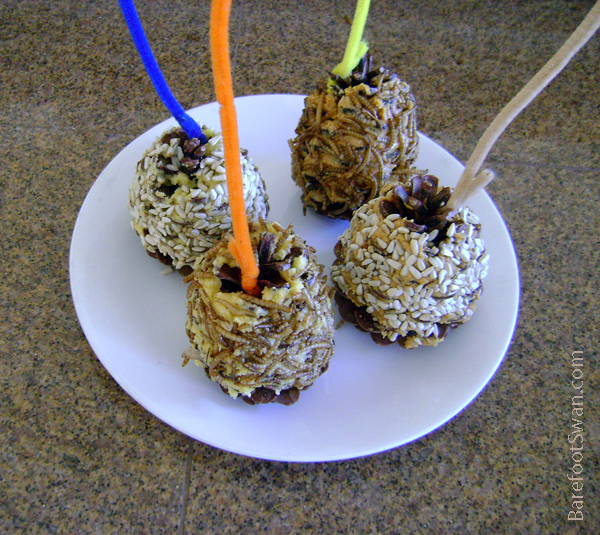 I opted for pipe cleaners, so they wouldn't get in the way when I filled the feeders. Mash together with fork until evenly blended. ** Generic peanut butter is fine, birds can't read labels. Tarp the kitchen if you're doing this with kids. Smoosh the filling onto the pine cone, filling in between the scales. I used the mixing forks, but you can also use a knife, small spatula or a popsicle stick. I left the top and bottom of the pine cone un-filled, to give the birds a clean place to perch. In case birds worry about that kind of thing. 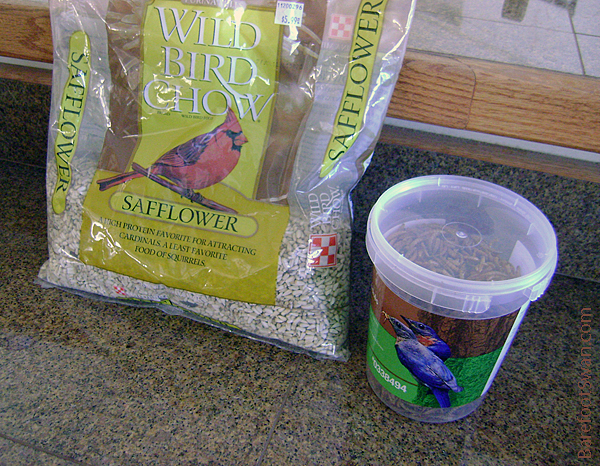 Two choices from the "Toppings Bar"
Online recipes normally show the pine cone feeders rolled in standard wild bird seed mix. I went with dried meal worms and safflower seed to finish them up. Most cheaper wild bird seed mixes contains a lot of red milo which most birds don't care for, so it tends to get ignored and wasted. It also attracts House Sparrows. 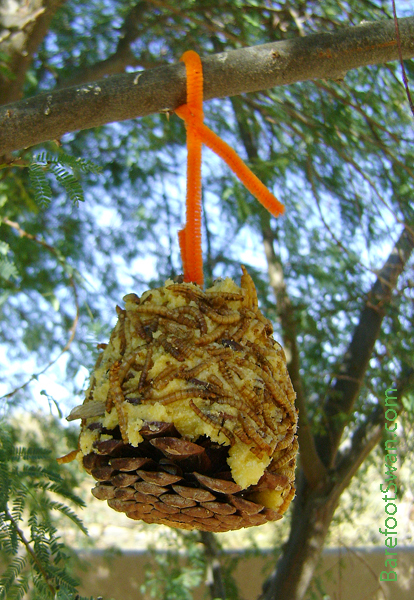 I used 1/4 cup of dried mealworms for 2 of the pine cones, and 1/4 cup of safflower seeds for the other 2. It was easier to pat the toppings on by hand, instead of rolling them in the bowl. The safflower seeds and dried mealworms stuck fine to the filling. The pipe cleaners stayed clean and out of the way. Choose a location in your yard where you can watch the birds come to dine. Wrap the pipe cleaner around the branch, then twist to secure. It took about an hour for the first bird to try a nibble. They were completely cleaned out by the next afternoon. -- Peanut butter is high in fat and protein. It is an excellent bird food. -- Use lard or suet instead of peanut butter, in case of allergies (human). 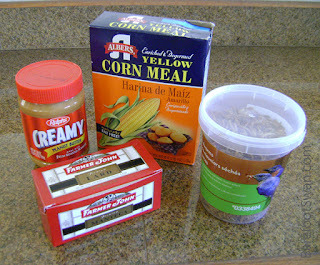 -- Cold weather will help keep lard and peanut butter from spoiling outdoors. -- Only put out enough suet/peanut butter to last for a day or two. 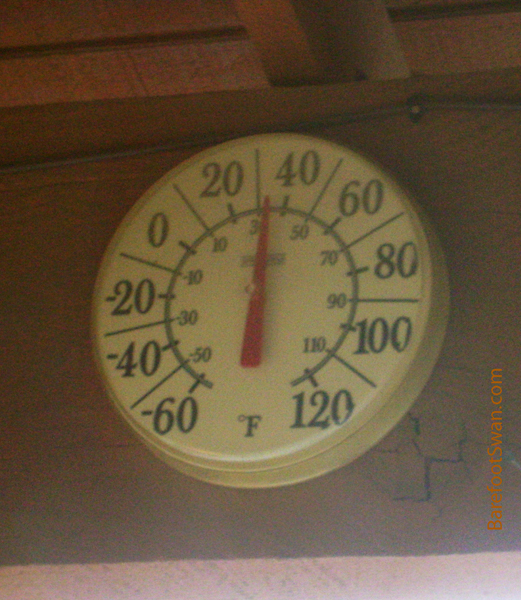 -- Put the filled pine cone feeder in the freezer to set, if needed. 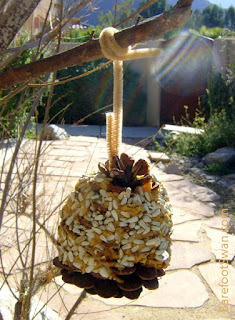 -- If squirrels are a concern, hang the feeder with a long string or towards the end of a branch. -- Use cut up dried fruit, chopped nuts or dried eggshells (rinsed well, dried and crumbled) as other toppings or mix into the filling. -- We considered using unshelled sunflower seeds as a topping, but decided against it. 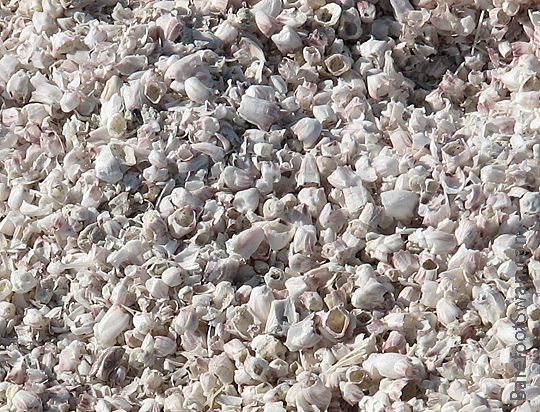 The dropped shells would be pretty messy on the ground, covered with lard or peanut butter. Hulled sunflower seeds would be fine. 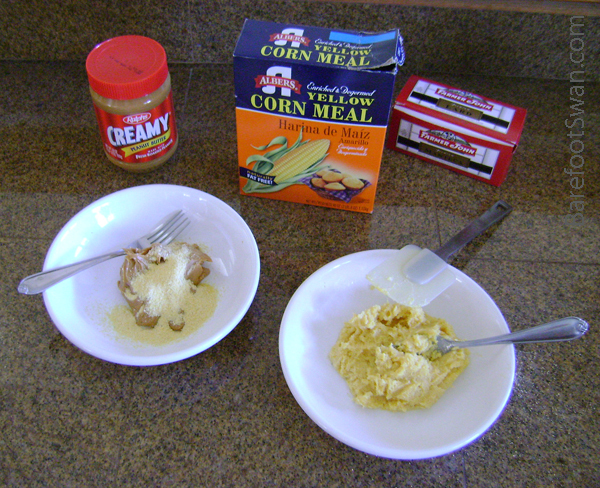 ** There were a number of online recipes suggesting the use of Crisco, instead of lard or suet. Crisco is a hydrogenated fat and not generally recommended for bird consumption.